Stay connected whenever you visit The Ridge and get 250 MB FREE Wi-Fi per day.  Simply connect to @TheRidgeWiFi and enjoy reliable and secure Wi-Fi for email, messaging, connecting to social media and browsing the web. Tsogo Sun provides visitors to The Ridge with Free Wireless Internet Access, by means of a daily data allowance. The Free Wireless Internet offer is currently only available at Montecasino, Silverstar, Suncoast, Gold Reef City, Golden Horse and The Ridge.